Since being selected as a Google Glass Explorer in June, I have had a lot of fun learning about Glass, wearable technology, privacy, modern programming, security, rapid design iteration, and celebrity. Wait . . . celebrity?!? Glass gives back what you put in and when I have stepped out, evangelist-like, people's interest and enthusiasm has followed. From a 94-year old acquaintance telling his friends about me and my 'gadget glasses', to random people in public engaging me to ask questions and ask for a try, to the planned out events I have listed below, people are curious, engaged, and excited about the slice of the future which Google Glass displays. As my journey continues (I get to swap my Glass out for the next version next week! ), I can see that more and more people will come to understand that this is about getting technology out of the way so it can truly assist us be more in touch with the world and with those around us. Check out these presentations and interviews about Glass . 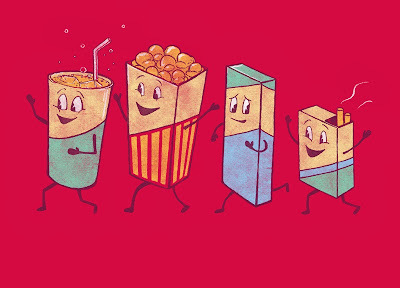 . . enjoy! Today I gave a live webinar at Sonic Foundry in Madison, WI that discussed how to use a consumer device, in this case Google Glass in the corporate setting. I am told that we had 500+ people watch live and you can check it out, too! Let me know what you think in the comments. 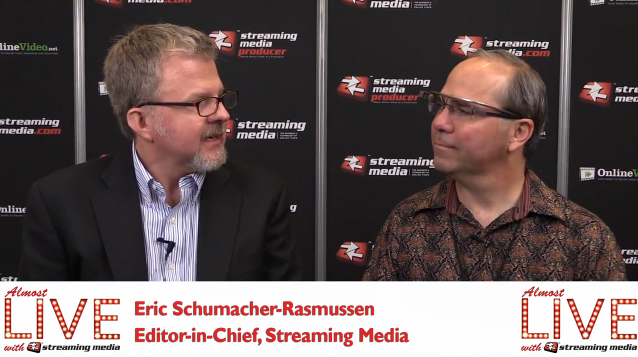 How the Google Glass + Mediasite integration could help large organizations communicate. The revolutionary impact the first-person point of view will have on education, training and communication. How Glass could provide hands-on learning with detailed demonstrations and labs. 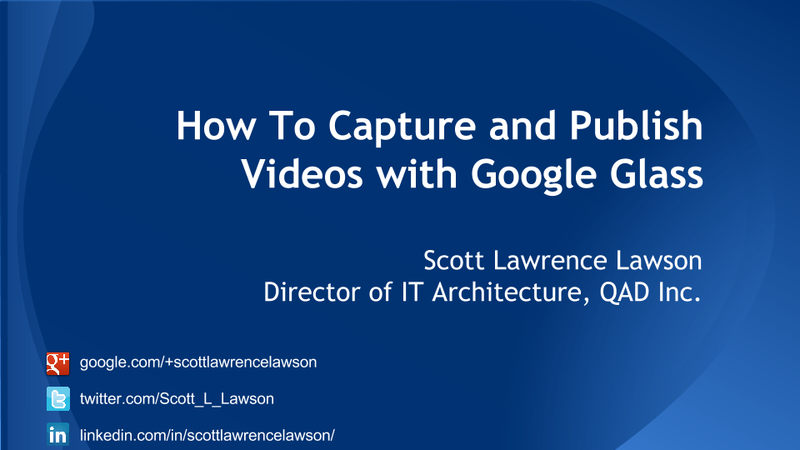 A step-by-step demo on how to get Glass video into a corporate video management platform. Check out the slides and Mediasite Catalog that contains the test videos. Today, November 19, 2013, I presented a session (C103) at the Streaming Media West conference that showed how to use Google Glass to capture videos for the corporate or enterprise environment and automatically publish them to a corporate server for employee use. The aim of my talk and demonstration was to show how the new form factor of Google Glass, a wearable computer can remove barriers for the regular employee to create and publish video information for corporate use. On my website, I have posted the slides today and will link the recorded presentation when it is made available to me. And here is the Mediasite Catalog that contains the test videos. Whew, the response was great! Two weeks ago, I was informed by Google Glass team that I could invite three more people to become Glass Explorers. I wanted to make the invites count, so I offered them up, not for sale on eBay like some, but through a personal #ifihadglass contest. In a previous post I asked people to submit their ideas but gave them a lot of space to explain "Why do you want Glass and what will you do?" I expected only a handful of responses because I do not have tons of followers. But to my surprise I received over 90 submissions! All of high quality and from near and far. After a long process of elimination and discernment, I decided to pick 3 that showed originality, creativity, sincerity, and impact to the community. I also wanted each of the selections to represent a different use case. Since I received a lot of ideas to apply Glass to issues of physical ability, I wanted to pick one. Since I got more than a dozen requests from young programmers with apps and tech projects already underway, I wanted to pick one of those. And I got scores of entries from regular users who simply wanted to share their world #throughglass; I picked one. +Michelle C. Torres-Grant a talented and photographer and foodie. In future posts I will highlight these winners, their ideas, and follow their progress into the world of Glass. The opportunity that +Google Glass offered me (and all Explorers) re-energized me to the possibilities of Glass. My only regret was not being able to invite all people who submitted their desires & dreams. Want Google Glass? I have 3 invites to give! In late October 2013, Google announced that they were again expanding the Glass Explorers program and releasing the second version of the Glass hardware (or Glass 2.0 as some, here, here, and here have called it). For current Glass Explorers, we can swap out our original units for the new set which are reported to have prescription frame capability (I need that!) and an optional mono ear bud. Better seeing and better hearing, yay! Along with that good news for the current 8,000 explorers, they are asking us to invite three more people into the program. That will be a potential of +30,000 Glass Explorers roaming around! This will expand the field trial and gain some great feedback for Google to improve prior to launching to the public in 2014. So, while I have had a handful of people ask me for an invite already, I thought I'd pause and hold a little #ifihadglass contest of my own. If you are interested, fill out my form by November 8 and give me the one reason why YOU should be able to buy Glass. Remember, this is not a giveaway, but the same terms that all Explorers have so let me know in your entry that you are really going to use the invite. Glass is fun and a challenge to all to see the world and computing in a different light. I hope you make the choice to get one. I am glad I did! If you are in Southern California mid-November, come and check out my talk on Google Glass at Streaming Media West conference. It is at the Hyatt Regency in Huntington Beach on November 19 at 1:45 PM. This post is a bit of an excuse to use my Google Glass while cooking because, I like technology . . . all of it! In some cases it is the state-of-the-art Google Glass or Leap Motion and in others it is the technical details and optimized process of home canning. But it is also an attempt at seeing home canning as a technological process that has benefitted from an systematic architectural plan. 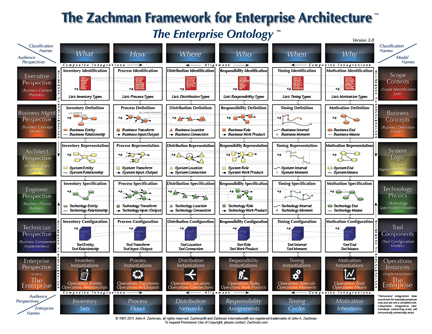 It is also an excuse to see the everyday process in light of the Zachman Framework . . . and show you how I like to spend some of my time. The canning process and the technology behind it provides some clues as to how to successfully design a process and a supporting system. It also illustrates the need for solution evangelization, too. When my mother was making jams and sauces in her 1960s kitchen, she used the inferior technology of paraffin wax to seal the jars. While no one got ill from this technology, throughout the years, the study of home food preservation systems has informed and changed the way the process is carried out. Not using wax today is well-known, but I still find it on the shelf in the store right next to the new, safer lids and bands. Our relation to technology is mostly dependant on how we learned. We still find people today who prefer paper checks to move money, envelopes and stamps to communicate, and margarine for baking. In the latter case, we have gone from butter to margarine and now back to butter based on lobbying and the desire for a better solution. The definition of "better", of course, varies. About canning, recently Stephen Colbert cast aspersions while talking with Emily Matchar about her book Homeward Bound. What - This is the recipies and the equipment. How - This is explored in-depth as canning has a very specific process model. Who - You, of course, but also the roles of the boiling water, the lids, the acid, the sugar, etc. Where - How you layout your tools and raw materials, including final storage is the "where" element. When - Timing is critical in canning and there are pages of timing models for each type of food. Why - There are many motivations like saving money, getting back to basics, or giving a gift. "As heating begins, the contents of each jar expand, and changes in internal pressure take place. Initially, gases are vented from the jar. When the processing period is finished, the atmospheric pressure outside the jar is greater than the pressure inside. This difference in pressure pulls the lid down onto the jar and forms a vacuum seal." The process is the critical element here and it has been refined and documented so that anyone can have success. From not tightening the bands too much, the the water temperature, to your altitude, the "what", "how", and "when" are the focus columns in this system. Enough of the justification . . . on to the fun! Read and view on to see how I turned 15 pounds of ripe tomatoes into 7 pints of crushed tomatoes in juice. These jars of summer will be great in December or March of next year flavoring pasta or caramelizing in a beef braise. The process begins as you pick the tomatoes, wash them and sort out the best ones. I picked 27 pounds of tomatoes from a single plant (I'll get about 45 pounds total over the season) but in these videos I can about 15 pounds into just 7 pints. You only need a very large pot, a knife, and the canning jars, but I have a few nice-to-have tools. But all in all they are not expensive. Check out my setup below! You have to make sure to not re-use the canning lids as they need to be in pristine condition. Once I have all of the stuff in place I can begin to peel, core, chop, mash and cook the tomatoes. For crushed tomatoes, you only really have to crush a few of them to get the juice going and then the heat does the rest of the job. Finally, there is filling the jars, sealing them, and boiling them. I shot a few more videos and have toyed with mixing them together in a comprehensive video, but time is short and with all those ripening fruits, Glass and Leap to play with and Python to learn. The other evening out tasting beer at a brewery with my 20-something kids one of them took out their iPhone and used the front-facing camera as a mirror. I had never thought of that, but then I am not prone to looking into a mirror whilst drinking a black ale. On inquiry, I found that this was not a usual action but something spur of the moment, rarely done, if ever. We all acknowledged that there is an app (or several) for that, but the fresh thing was that it was spontaneous and almost like the device was not a phone with an embedded camera used as a mirror, but the device was a mirror. The action was simple and natural. I spend a lot of time at work helping people use technology designed for the task they need to complete. When they do not fully understand how to use a software program, or collection of tools, I often cheerfully say: "try to think like the program!" Which means to adjust the user actions to match the what the application expects. Is that an echo of Mr. Jobs? Should we have to adapt our actions to fit the expected use or could we adapt a tool for a completely different use the designer never thought of? If I had a hammer, could it be used as a catalyst of love? As with most things, both/and is most likely the answer. Being in the Google Glass Explorers program has informed my view a bit. The Glass program is about finding the use case and discovering how the device might be used. Sure there were several applications released when the device was released, but if we look at the growing list of applications and even the uses Glass is put to everyday, it is clear that a well-designed tool can be useful in many contexts, even ones the designers did not consider. What ways have you used a device, tool, or application in a way different from its intended use? I had ordered the little thing back in Fall of last year . . . did not have to pay for it at the time, so I thought, what the heck! Fast forward 8 months and it arrived by USPS today. I ordered it thinking that since I am a proponent of voice control and dictation, this new way of interacting with the PC would be enlightening. The software took a very long time to download, possible because of the Leap Motion servers being very busy this week for launch. The apps from Airspace take a while to download, too, so I had to be patient. Four basic utilities are installed: the device driver, the visualizer which helps you learn basic hand movements, the Control Panel, and Airspace, which is the app store and special launcher for your Leap Motion enabled apps. After waiting again for a download (I had to switch to a different laptop because while the driver did load on the first one, the Leap Motion did not respond) I was able to run the orientation. This worked OK and gave me insight into how this was really going to work. It sees your fingers and hands, but you have to know how they will be recognized. Many times I was not skilled at operating the apps because the controller would only "see" three out of five fingers or my thumb got in the way. While I think this is a ground-breaking device, using the Leap is harder than I imagined. Sort of like starting out using voice recognition. Practice is required. I loaded a few of the free apps to try it out. Touchless has the most potential and after 20 minutes I could navigate where I wanted, but it was certainly a lot more difficult than using a mouse. But then, 20 years ago, formatting a document in WordPerfect for DOS with Reveal Codes was faster than mousing around in MS Word! Playing a few of the games, like the simple "Cut the Rope" is fun and it seems like it is built for this type of handwaving in air interaction. The 7 apps I have installed. Lotus crashed three times on load so I did not use that one yet. The hardest part to get used to is that you have no touch feedback doing gestures in the air. With a mouse or a pen or even a touch screen you have contact with some tool or device and can learn quickly how to compensate your movements. With the Leap and the airspace you are called to gesture in, it is difficult to calibrate your brain for where your fingers will be the most effective. This input device is indeed a brand new paradigm. Learning it reminds me of my work teaching people in the late 1980s and early 1990s how to use a mouse. Believe it our not, many very smart people in my classes took days to get used to that input device. 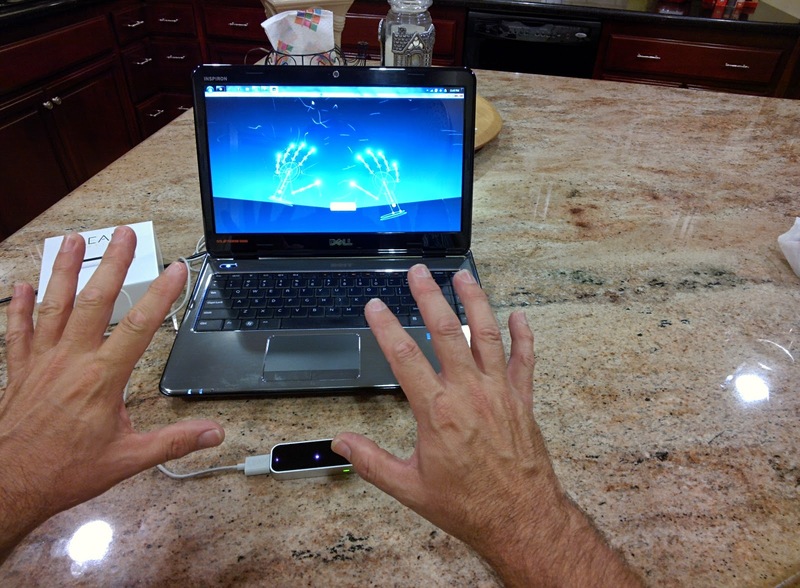 I think the Leap Motion is going to be the same. Glass Development - Bootstrap UX/UI Framework, a Beginner's Discovery! If you have read my last two posts, you know I have not developed for a good decade and a half. What is this "bootstrap" thingy?? I asked myself and poking around I find a wonderful world of UI goodness courtesy of some nice geeks from Twitter, @mdo and @fat. Yep, the Google Glass Quickstart project uses a set of web tools that bring in a responsive design from Twitter Bootstrap or just Bootstrap that is going on two years old. Who knew? Anyway, this is a really nice way to make a clean website and on digging into the details, it is flexible, responsive and helpful. So, I wanted to point this out and that you'd do well to check out the Bootstrap site and by extension, the Bootstrap blog. You do not have to use Bootstrap for Glass site development at all, but if you are modifying the Quickstart it certainly gives you a platform to look good! As an update to my last post, I am happy tonight because I have finally had success in getting the the Glass Quickstart for Python running on my instance of the Google App Engine for Windows 7. If you have read my previous post you know I was not doing well. My plea netting several kind messages that gave me hints at what I might be doing wrong, but I thought I'd start over, armed with new knowledge from failure and the kindness of the community. Yay! The Glass Quickstart is finally running! After much reading, I confirmed that the Python path was best for me and what I really needed to do is to have my environment setup correctly and carefully follow the steps outlined on the quickstart pages. So, I began fresh and took my time. Here is what I learned about setting up the development environment for Glass with Python and Google App Engine on Windows. Install Python 2.7.x (not 3.x) before GAE. If you do this, GAE will know Python is there and set itself up to use it. You have to install and then configure, so the best resource (at the time of this writing) to install Python on Windows 7 is this video from Michael Herman. "Python 2.7.5 Windows Installer (Windows binary -- does not include source)" for best results. After you have tested Python by itself, then follow these instructions from Google to install the GAE. In that set of instructions, there is a step-by-step tutorial which, if you are careful, will get you a running application called 'Guestbook'. It was helpful to do this before the Glass Quickstart to ensure my environment was working fine. As Google recommends, to edit the example files and your own code, install and the free text editor Notepad++ (not the Notepad app that comes with Windows). I had issues with incorrectly encoded characters from the cut&paste code using plain old Notepad. After that is all installed, I went through the Python Tutorial for GAE and built the app. Here is my running example. Because the Glass Quickstart code is downloaded from the code versioning website, GitHub, I signed up for and installed GitHub for Windows. I can see how it will be useful but it is not needed to just get the Quickstart up and running. You could just download the ZIP file and extract it. While working with the GAE, make use of the Google App Engine Launcher. Yes, yes, I know you can type command lines, but for we who like a GUI this tool is helpful in getting your environment and application code running on local and then deployed on your instance of GAE. My main advice: pay close attention to setting up Python and your development tools properly, use the installers and GUIs, and you will be successful. The elusive 'deployment successful' message in the GAE Launcher deployment log window! Further, as an IT Enterprise Architect, I "develop" applications for a living. Just not down to the level of code, just like a building architect or shopping mall developer rarely grabs a pneumatic nail gun or diamond-tipped tile saw to complete the project. Yet all architects need to know the materials available and how the tools operate to properly execute a well-designed building. Thus, when I was selected for the Google Glass Explorers program, since it was a new UX and platform, I thought I'd try my hand at designing a native application for Glass. My app, I mused, would be something simple: a location-aware service for botanic gardens and parks that would provide geographically appropriate information cards that could give the wearer rich information about their surroundings. For example, at Rancho Santa Ana Botanic Garden near where I live the cards would appear when you are in the riparian zone on the mesa or in the palm oasis or in the wildflower meadow. A virtual reality tour of sorts. A week after I got my Glass, I enthusiastically began. After a bit of research and reading the materials provided by Google, I began to setup my development environment. Mainstream Glass development involves hosting your service on the Google App Engine (GAE) and I set about to register for GAE, activate the API, and publish a sample application. I needed to select a language (FORTRAN 77 was not supported!) and at first I decided to go for the future and I selected Go, the new language for web applications invented by Google. The Go "Getting Started" tutorial provides a sample application and a step-by-step instruction and for the most part, I was able to follow and successfully deploy the application. The step-by-step lesson builds upon itself and when it got more complicated, my application in Go would not compile, but I had a working app up on the big bad internet, so I was feeling pretty good. The next step was to try to get the Glass Quickstart application compiled and working on my GAE instance. This did not happen. The instructions left out some parts and did not clearly state where files or libraries should be located. After tinkering for several multi-hour sessions of the course of 3 days, I thought that possibly Go was too new of a language for me to tackle, with two few experts hanging out on the forums to help a newbie like myself. In looking at the activity on the various forums like GitHub and Stackoverflow (both new to me, sonny! ), it seems that people were much more involved in Python. There was already another new Python Glass app on GitHub about counters, so this was encouraging. So I plunged into Python. And like its reptilian namesake, my time, confidence and self-esteem were slowly squeezed to death. Not that Python, the language, itself had anything to do with it, but the development environment is not standardized all that well and the nature of the open source path is fraught with peril for the uninitiated. That said, there are a lot of tutorials, blogs, and books out there, but many times these resources begin with assumptions which lead to deployment errors. I tried again and again to get the Glass Quickstart for Python deployed, but error after error stopped me in my tracks. I was missing libraries, had the session.secret file in the wrong directory, etc. My being on Windows did not help matter either because developers today just don't do Windows (unless you're in .NET). So, at this point I have posted a plea on StackOverflow, the Glass Explorers Community (private link) and directly to the Google developer via G+ that put the Quickstart up in GitHub. I have had no takers yet and might resort to getting (and reading) a Python book. But hey, if you can help a harmless old script kiddie like me with Python, please, slither on by! I picked up my Glass on June 29, in Venice Beach, CA but did not use it much that day due to other commitments so my exploring began on June 30. The pickup was uneventful and not as exciting as I had read in other Explorers accounts. I felt like I knew more about the device than my helper. She was kind and friendly, though, and my car was valet-parked, so that was good. I wanted to spend about a week as an end user so I wore it around and tried to get the apps working and get used to how to do things. Google Support for the Explorers is great, but my experience is that the Explorers know more about the device than anyone I have talked to at Google. People are curious about it, and everyone I have met thinks it is cool. The FUD-mongers in the press warning about people getting angry at so-called "Glassholes" were wrong. The Google Now app is great and if you are in the Google ecosystem you get a lot of function right away. This includes flight info, directions, weather, sports scores, finding places to eat, your email and calendar appointments and all of that. G+ and GMail are great apps and work as you'd expect. Posting to G+ is easiest. Gmail only shows messages marked "Important" which is good, but needs to be kept in mind. The CNN app for news is very good and send an appropriate amount of news. Taking photos and videos is easy and creates some novel ways you can capture moments. The Glass Explorers community on G+ and in the closed community Google has provided creates a camaraderie that is unmatched. One feels like a big diverse family! Connectivity: When Glass is connected, it is great. However, before going out with Glass you need to make sure it is connected to the phone via Bluetooth (BT) & have it tethered. At home it is connected via WiFi and works fine, but when going out it does not always stay connected. Half of the time, if I am showing it to someone, the screencast does not initially work because my phone and Glass have become un-paired. Unlike my other BT devices and the BT in my car, Glass is a bit fussy. I have an unlocked Google Nexus Phone, so this should work well. Battery and Heat: After XE7 my Glass gets hot after a small amount of usage. Recording a 3 minute video will make it almost too hot to touch. The battery is an issue, but then we knew that. Some report all day usage, but I do not think they are interacting with it a lot. The Other Apps: Twitter, Facebook, New York Times, and Evernote I have tried and they do not work well for me. Twitter took a lot of turning off and on and rebooting and then I could send tweets, but only with a photo, but I did not receive any tweets. Facebook never worked for me. Evernote throws a security error and I have not been able to authenticate with it. The NYT news app is terrible, sending dozens of cards daily with only one or two updates in each. They need to use bundles or have a better configuration screen. I confess that I did not try Elle, Path, or Tumblr yet so I cannot comment on those. Accessories: The clear and tinted shades are fine, but for my money they should have included some sort of charging stand. I get worried when charging them that I'll set them down askew and mess up the prism. I have started to set up the programming environment for Glass and try my hand at writing an app. I am not, by trade a programmer but I used to write some code (10+ years ago!) so getting the "Quickstart" examples working has been a challenge, but I think I will get there in the next few days. Dejected, I looked up Jersey Mike's sandwich shop for lunch to see how that experience would be on Glass. It was good, I got the food ordered but the conversation was not as clear as on my phone. 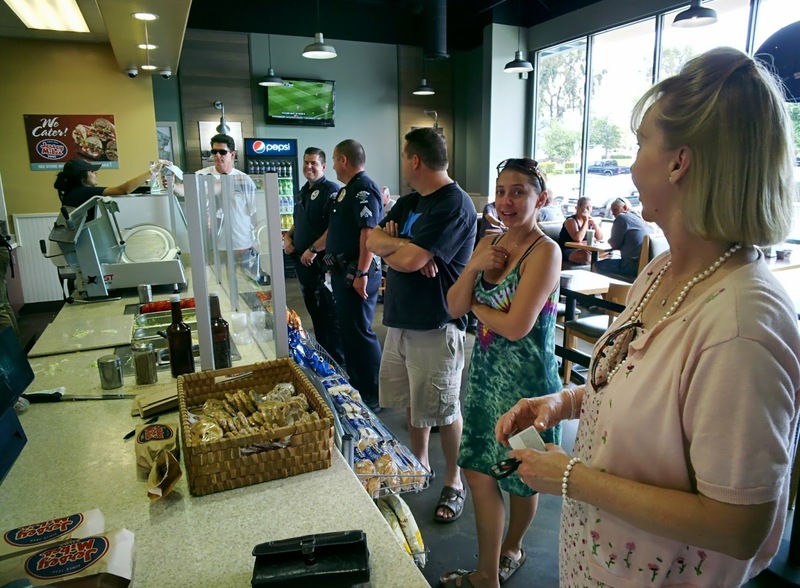 So I drove over, went in and stood in line to wait to pay. I sensed some people were looking at me, and I did not know how to act. Do I act normal, smile extra, blurt out "I got Glass" and have them think I was a nut? I showed them a few things and told the cops they should get one for their work. They younger one wanted to try it on and I let him, but reflecting, I do not think letting a random person use it for 2 minutes is a good way to show it off. I think it takes 10 minutes just to get used to the UI and hand gestures. After that I was walking out and another person asked about it. I described the screen, the price, how you cannot just buy one, and my purpose for having it. People seemed enthused. But then they were also engaged in pretty awesome sandwiches, too! Now that I have my Google Glass purchase invitation from being selected as an #ifihadglass program I went through the purchase process. Below is a screencast of that process.